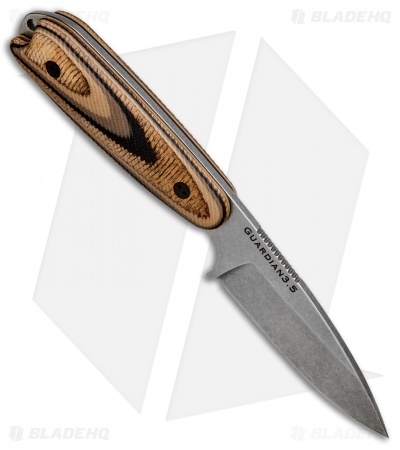 This Guardian3.5 model comes outfitted with 3D G-Wood scales and a stonewashed Bohler N690 steel blade with a Sabre grind. 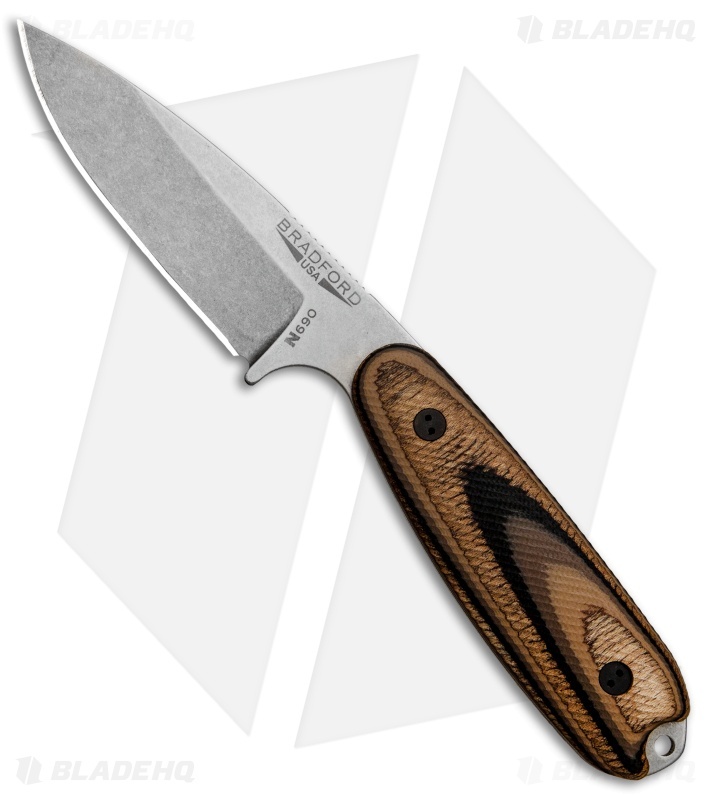 Bohler N690 blade steel offers extreme wear resistance and cutting preformance. 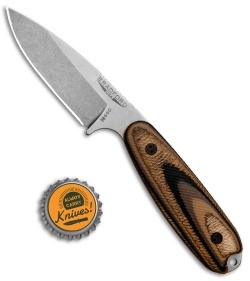 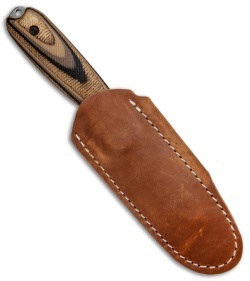 Contoured 3D G-Wood handle scales provide lasting comfort and enhanced grip security. 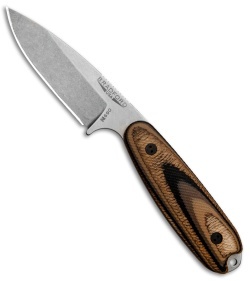 So I'm a pretty big guy with hands to match and I was worried this knife might not fit in my had too well but it does and the jimping on the spine just above the handle is placed perfectly. This knife is so comfortable to hold and carry. The only problem I have is I need to wear the leather on the sheath in a bit more so the draw isn't so stiff.